Arise picks up not long after Hereafter leaves off. Amelia and Joshua are desperately searching for a way to stop the nightmares that keep tormenting Amelia. While visiting some of Joshua’s family in New Orleans, they hope that they can find answers as to why these nightmares keep happening. But they could just get more than they bargained for. Joshua and Amelia are still one of my most favorite couples, ever! They are so sweet together, and Joshua definitely swoon-worthy. I always find myself rooting for them, hoping they can find a way to stay together. At one point in the book, my heart literally breaks for Joshua. It was a very emotional moment. I loved it. We also get to meet some new characters in Arise, a few of which I really loved, especially Amelia’s new friend, Gaby. She was such a welcome addition to the story! 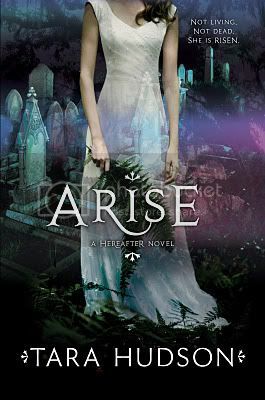 As in the previous book, I loved the storyline for Arise. It definitely kept me engrossed while reading the book; I HAD to know what was going to happen next. The setting for the book was very well described. I’ve always wanted to visit New Orleans, it sounds amazing! The end of the book came together nicely, even if there was a bit of a cliffhanger ending. I still felt that I had closure for this book. I am hoping we get to see another book in this series soon! I also want to mention that the book covers for this series are extremely gorgeous, and they are some of my favorites of all time. SO gorgeous! Overall, I loved reading this book! It was an excellent follow up to Hereafter. I can’t wait for my finished copy to arrive in the mail so I can read it again! I'm really glad that you enjoyed Arise! I can't wait to get my hands on this. LOved the plot and characters of Hereafter. Great review! 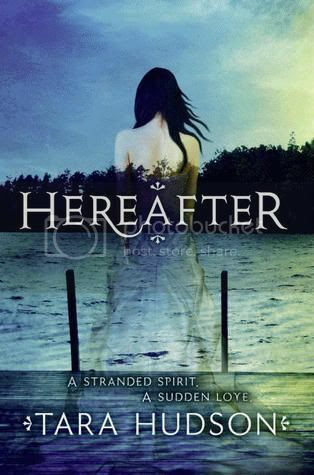 I was so surprised by Hereafter which convinced me that I do like ghost stories so I can't wait to read the next set of adventures for Amelia and Joshua! OH wow! How cool. I read HearAfter last summer. Where did you get a review copy for this one? Is it up on NG?